You want to sell your home quickly, at a good price and with minimum problems. It’s possible, but you’ve got to know the secrets that a real estate professional knows. Here are nine common and costly mistakes that sellers make that you can avoid. “Curb appeal” is critical. The pro knows you can’t sell ’em if you can’t get ’em inside. You should mow and edge the lawn; trim the bushes; sweep the roof; weed, mulch and plant flowers in the beds. Inside, clean up the clutter and clear all counters. Concentrate especially on the kitchen (you did clean the oven, didn’t you? ), master bedroom and bathrooms – they must sparkle! These areas are the number one selling points for all homes. When the buyer comes, “It’s Showtime!” The home must show to its best advantage. Open all window blinds and drapes and turn on the lights. Most buyers today want “light and airy.” Turn off the TV; turn on some easy listening music at a low volume. Keep furniture to a minimum, this will give the appearance of plenty of space. Everyone should clear out, including pets and children so the buyer feels at ease. The old adage is: “a home properly priced is half sold.” Over pricing (not uncommon) or under-pricing is a big mistake. Many sellers think that a lender’s appraisal for refinancing purposes is the “fair market value” of their home. This may or may not be true. Appraisals for refinancing or second mortgage purposes are frequently on the high side since lenders have a good customer and want to make the loan. An appraisal is a guide and homes frequently sell lower and occasionally higher than the appraisal price. You need to make your home available for showing at all hours of the day or early evening. Buyers have dozens of homes to look at. If yours cannot be seen, they’ll move on and may never see it. A lockbox with the key inside is a big help in getting your home shown. Although it may be inconvenient at times, you need to have as many qualified buyers as possible see it in order to sell for top dollar. Many “sales” fall through today because the buyer couldn’t qualify to borrow the money to buy. Frequently the buyer has said: “I’m pre-qualified.” This just means they have spoken with a lender to get a general idea of how much they can borrow. It is not a loan commitment. A “pre-approved” buyer, on the other hand, has made a full loan application, had a credit report done and has already been approved for the necessary loan. Which prospective purchaser would you rather deal with? Most buyers today order and pay for a full home inspection. The inspector checks the construction, appliances and systems and notes any deficiencies. Typically, the seller will repair any appliances or systems (plumbing, heating, cooling, electrical) not in good working order. The wood-destroying organism report should reveal any infestation and/or damage. The seller usually treats any infestation and repairs the damage. Some repairs are “negotiable” but most buyers who are buying a problem will expect to get a very good deal because of the extra hassle. Homes built prior to 1978 frequently have lead-based paint. This can be hazardous if ingested. There are inspection companies who can determine if lead-based paint is present and there are companies who specialize in abatement. If you know or suspect your home has lead-based paint, you should reveal this to your buyer. The buyer typically has 10 days to have the home inspected and if the risk is too high, to cancel the contract. Selling your home is a complicated, legal transaction. Each party has rights and responsibilities. The sales contract and other forms spell out what these obligations are. The sale itself is only as good as the paperwork. All necessary forms should be used and should be properly filled out. A mistake here can have disastrous results. Selling your home is a complex, time-consuming process. There are many pitfalls, especially if you are not familiar with the necessary requirements and forms. A good real estate agent will help you every step of the way. He or she will help you prepare the home for sale, show you how best to stage it for showing, assist you in pricing and understanding financing, make it easy to show your home, assist you with all inspections and repairs, help you with negotiating a sale, completing the paperwork and help get your sale CLOSED. 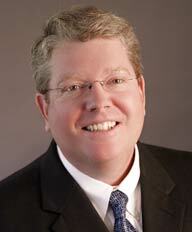 "Lee Snowden Lee Snowden renewed our faith in realtors as good people! He was honest and upfront every step of the way. He even spent hours... continued"